It’s not hard to make time for the thinkers of the industry, and Dudley Brown rates up there with the best. Grapegrower, winemaker, blogger and McLaren Vale businessman (Chairman and CEO of viticultural business DJ’s Growers), Dudley certainly gets around, with a perspective that is uniquely formed from outside the wine industry (he had ‘a whole other life’ in large corporate America), which I greatly respect. The wine industry is fundamentally a conservative business, which makes ‘outside the square’ thinking more than welcome. Dudley came around today for a chat and to show some one of his newest creations, the Dubstyle label. 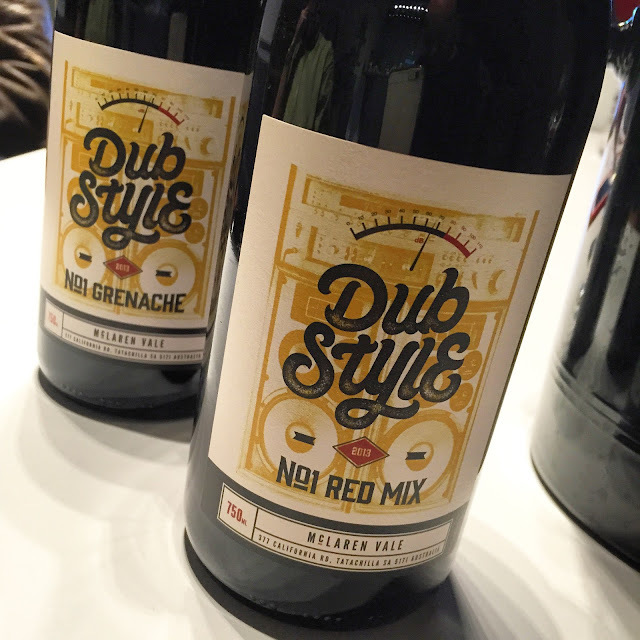 Unlike the rest of his wines (under the Inkwell label, sourced from his own California Road vineyard, the Dubstyle range is sourced from neighbours and other McLaren Vale growers. What sets these wines – and indeed those of the Inkwell range – apart is a lack of additions. It’s curious to think so, but Dudley is one of the few in the Vale who ferments without cultured yeasts, avoids DAP and echews tartaric acid, instead picking early (under 12.5 baume for some varieties this year) and relying on the wine to do the rest. Applaudable behaviour, and it’s curious that more in the Vale – where innovation is pretty healthy – aren’t following suit. Odd.